You will find below the horoscope of Heidi Albertsen with her interactive chart, an excerpt of her astrological portrait and her planetary dominants. If you know the time of birth of Heidi Albertsen, we would appreciate it if you would send us your information with your source, at stars@astrotheme.com. To thank you for contributing to the enhancement of our astrological database, we shall be glad to send you the astrological portrait (34 pages) of this celebrity. Horoscopes having the same aspect Venus trine Jupiter (orb 1°00'): Kurt Cobain, Kristen Stewart, Elizabeth Taylor, Naomi Campbell, Vincent Cassel, Dakota Fanning, Tobey Maguire, Johnny Cash, James McAvoy, Benicio Del Toro, John Wayne Gacy, Neymar... Find all the celebrities having this aspect. Celebrities born the same day: Bill Kaulitz, Zendaya, Nepal, Tom Kaulitz, Jeon Jungkook, Dr. Phil, Jada Fire, Barry Gibb, Gloria Estefan, Rocky Marciano, Jean Sarkozy, World War II... List of all the celebrities born on September 1. Celebrities clicked on in real-time: 576,031,716 times. Heidi Albertsen (born September 1, 1976) is a Danish model. She is the goodwill ambassador for Life Project for Africa and the Lower Eastside Service Center. Albertsen was born in Copenhagen, Denmark. Her first job, at the age of 10, was delivering newspapers in her hometown of Copenhagen. She later worked as a dishwasher at a restaurant and butcher shop, and she sold chocolate at a candy store. As a young girl, Albertsen struggled with obesity but eventually managed to lose the weight, after which time she says she was "strongly encouraged to enter the modeling world." At the age of 17, Albertsen was the winner of the 1993 Elite Model Look World Final, the annual fashion modeling contest held by Elite Model Management that attracts more than 350,000 participants every year from 800 cities in 70 countries across 5 continents. Here are some character traits from Heidi Albertsen's birth chart. This description is far from being comprehensive but it can shed light on his/her personality, which is still interesting for professional astrologers or astrology lovers. 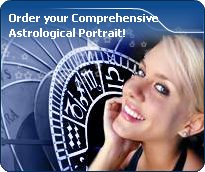 In a matter of minutes, you can get at your email address your astrological portrait (approximately 32 pages), a much more comprehensive report than this portrait of Heidi Albertsen. Warning: when the birth time is unknown, which is the case for Heidi Albertsen, a few paragraphs become irrelevant; distributions in hemispheres and quadrants are meaningless, so are dominant houses and houses' accentuations. Therefore, some chapters are removed from this part. Cheers for communication and mobility, Heidi Albertsen! The predominance of Air signs in your chart favours and amplifies your taste for relations and for all kinds of short trips, whether real (travels) or symbolic (new ideas, mind speculations). You gain in flexibility and adaptability what you lose in self-assertion or in pragmatism. Heidi Albertsen, Fire is dominant in your natal chart and endows you with intuition, energy, courage, self-confidence, and enthusiasm! You are inclined to be passionate, you assert your willpower, you move forward, and come hell or high water, you achieve your dreams and your goals. The relative weakness of this element is the difficulty to step back or a kind of boldness that may prompt you to do foolish things. Your natal chart shows a lack of the Water element, with only 9.26% instead of the average 25%. Whether you are aware of it or not, affective values bring about problems, for you or your close friends. In general, a lack of Water does not necessarily mean that you are unable to love as much as others do. However, you may find it difficult to express the deepness of your heart and of your feelings. In the best cases, you come to terms with it, you adjust, you manage to show more affection or, why not, you pretend to be really affected! In the worst cases, you get into the terrible habit of repressing these essential values and you tend to forget that they are the basis of the richest and strongest bonds between human beings. The Mutable mode is the most emphasized one in your natal chart, Heidi Albertsen, which indicates a mobile character that is curious and thirsty for new experiences and evolution. You are lively and flexible, and you like to react quickly to solicitations, but don't confuse mobility with agitation, since this is the danger with this configuration - and with you, stagnation is out of the question. Security doesn't matter as long as you are not bored. You optimize, you change things, you change yourself... all this in a speedy way. The three most important planets in your chart are Mercury, Uranus and Saturn. After this paragraph about dominant planets, of Heidi Albertsen, here are the character traits that you must read more carefully than the previous texts since they are very specific: the texts about dominant planets only give background information about the personality and remain quite general: they emphasize or, on the contrary, mitigate different particularities or facets of a personality. A human being is a complex whole and only bodies of texts can attempt to successfully figure out all the finer points. Your nature is optimistic and emotional, Heidi Albertsen, and you are caught up in two incompatible longings: you are fond of exoticism and independence of movement, but at the same time, you feel comfortable in a form of middle-class attitude and conformism; in general, it translates into a succession of moods, now quiet and well adapted to the situations you experience, now marked by an irresistible desire for change and revival. You have a good and naïve nature, with a lot of self-confidence. Your emotionalism prompts you to live intensely a variety of numerous emotional experiences, a bit scattered, but with all the stimulations you need to be a balanced person. Your pleasant and welcoming attitude wins you some degree of popularity, all the more so because, despite your thirst for adventures that may scare away some people, you adjust to your environment's customs so easily. Heidi Albertsen, inside yourself, feelings are strong and powerful. However, you never show them before weighing up and considering all the possible consequences of your words and your actions: fieriness and spontaneousness are toned down because you cannot help controlling yourself, probably due to your modesty, your discretion or your shyness; you are frightened because you are so concerned with other people's opinion that you see passion, or expressing your feelings too quickly, as sources of danger. However, you are helpful, simple, and you do not fuss around. Reason prevails in your love life but your heart may flare up when the context is well organized and everyday life is cautiously handled with good sense, tidiness and cleanliness. Your sensitivity prompts you to avoid excesses and outbursts and this is how you think that you can achieve happiness without risk. No one can say that you are particularly aggressive, Heidi Albertsen! Actually, it takes a great deal for you to become able to express your anger because you belong to the wavering type and you are not prone to risk-taking; you loathe violence and you would rather not intervene than start a conflict. Moderation and the happy medium in all things are your favourites. One of the only areas that makes you wage war is injustice, whether you are the one who is stricken or whether it is someone who is helpless. In this particular field, as in that of sexuality, you are not impulsive and you appreciate it very much when your partner shows the way, preferably with much serenity and gentleness. Actually, the form and characteristics of your sexuality depend on the rest of your personality. This text is only an excerpt from of Heidi Albertsen's portrait. We hope that it will arouse your curiosity, and that it will prompt you to deepen your knowledge of astrology, as well as to visit and use the wide range of free applications at www.astrotheme.com.